COMACO staff train rural community leaders in the use of deforestation monitoring software available on computers recently donated by the U.S. government. The U.S. Embassy recently donated personal computers to help the non-governmental organization, Community Markets for Conservation (COMACO), train traditional leaders in Eastern Province in the use of satellite-mapping software to enable them to improve monitoring and protection of the forests and wildlife within their chiefdoms. Data and information collected through the computers’ Geographic Information System (GIS) software will help the traditional leaders better plan their actions for preventing wasteful and destructive land uses, such as charcoal production and unplanned agricultural expansion. The GIS software also provides deforestation alerts and can detect forest fires, examine natural water resource usage, and monitor illegal logging in protected areas. 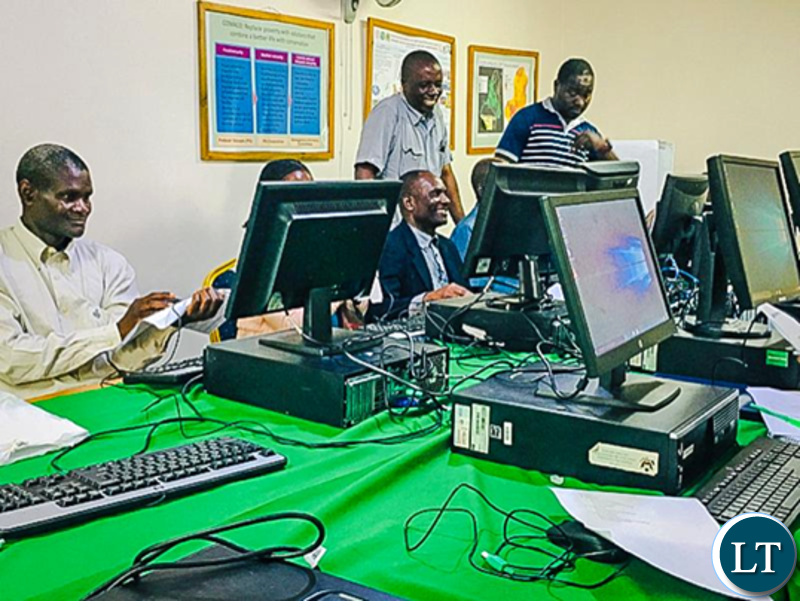 The 16 donated computers provide an important opportunity to pilot technology aimed at safeguarding Zambia’s natural resources for future generations while improving market opportunities for local communities. The computers and training will also help community leaders, particularly local traditional leaders, to monitor better the impact of their efforts to enact and enforce conservation plans. COMACO has been involved with community-based conservation in the Luangwa Valley for the last 15 years, and previously received support from the American people through The Better Life Alliance initiative, a public-private partnership that strengthened the link between smallholder farmers and agricultural markets and promoted crop diversity and conservation farming. The initiative brought together the U.S. government, the Norwegian government, the non-profit community, the Wildlife Conservation Society, and private sector companies, such as General Mills and Cargill. The Alliance strengthened food security and sustainable rural economic growth in the U.S. Agency for International Development’s (USAID) Feed the Future initiative focus area in Zambia’s Eastern Province. In partnership with USAID, collaborators in local government and other committed partner organizations and donors, COMACO is able to continue working with rural communities to manage and generate community-level income without endangering local wildlife and other natural resources. COMACO provides various market incentives, some of which are tied to the sale of “It’s Wild!” food products, which has become a popular food brand in Zambia. I hope they won’t sell them to buy suits and hats!! R E S P E C T TO AMERICA. Are they also providing them basic computer skills, I guess some cannot even write their names.